A programming & designing blog! 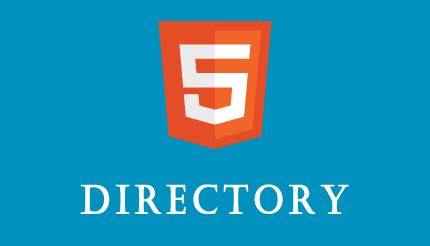 HTML5 allows you to upload a complete directory by using directory attribute. This method is more user friendly than any other file uploading method. We can upload a complete directory at a time using this way. At this time, method is working only in Chrome and webkit browsers by using webkitdirectory attribute we can also add mozdirectory attribute for mozila browser support. Here is a simple example to upload directory using PHP. Take a look on the html markup, we need to add box brackets with name attribute. It will collect all files in an array. We need to handle uploaded files with php multi upload hander method. Not working on Internet Explorer! Works only on modern browsers supporting webkit. Chrome is one. How select file OR folder ? is it possible to add into a mysqli function? Hello Admin, thank you for enlightening us with your knowledge sharing. PHP has become an inevitable part of web development, and with proper PHP training in Chennai, one can have a strong career in the web development field. Only 20 file upload how to increase?? When uploaded, the directory is not uploaded. Instead, files of that directory are uploaded. I am using Google Chrome. Accessing my site will have many interesting things for you. Some days age I have created a post that deals with How we can upload file with progress bar using php and jQuery. Some of my readers asked me how we can upload multiple files with progress bar. In this post I am going to show you how we can upload multiple files with progress bar.We can upload multiple files with progress bar exactly same way as I shown previous. But we need to do some modification with our file upload form and our php script to handle multiple files. In this post I am going to share a simple but useful force file downloader script. In this post you will learn how to create a AJAX file uploading system with progress bar using jQuery and PHP. For this purpose we will going to use jQuery Form Plugin. It is a easy to use and powerful jQuery AJAX form submitting plugin. It supports XMLHttpRequest Level 2 and iframe file transportation. That's why it will work for both old and new browsers.